You've seen the rest now try the BEST!!!! It is our mission to exceed all of our customers' needs.Come visit us and see for yourself what we have to offer! 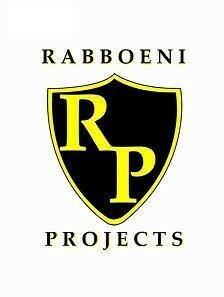 Rabboeni Projects is a leading Airconditioning, Refrigeration,Security Systems,Gate @ Garage Motor Automation supplier in the Bronkhorstspruit area. We provide our clients with a comprehensive approach to contracting and specialising in a wide range of services. Since we started out in 1991, we have been committed to our client's needs and satisfaction. Our clients are our number one priority, and we’ll go the extra mile to make sure they’re completely satisfied with our work. Do you have a specific project that requires professional attention? Our services are designed to tackle even the most complex projects. Call us today to discover how we can help.